Is IBD a risk factor for prostate cancer — and if so, how serious? A newly published report in European Urology has suggested that men who have inflammatory bowel disease (IBD) — either Crohn’s disease or ulcerative colitis — are at a significantly increased risk for prostate cancer over time. The report — by Burns et al. — is based on a retrospective analysis of data collected by researchers at Northwestern University in Chicago, and the full text of the paper is available on line for interested readers. (See also this media release on the ScienceDaily web site.) We should point out immediately that prior reports on this topic did not suggest such an association, but there are meaningful differences between those prior reports and the current report. What Burns et al. did was look back at data collected between 1996 and 2017 from 1,033 men with IBD (cases) and a randomly matched set of 9,306 men without IBD (controls) being treated at a single, academic medical center. All the men in the data set had had at least one PSA test taken over the study period. After about 60 years of age the men with IBD had higher PSA levels than those of the men who did not have IBD. However, we have to be very clear that all these results are, as usual, limited by the retrospective nature of the analysis and they have not been validated by any other comparable study to date. Men with IBD had higher rates of clinically significant [prostate cancer] when compared with age- and race-matched controls. What is a lot harder to know at this point in time is what is driving this set of findings. Readers need to appreciate that ulcerative colitis and Crohn’s disease are bowel disorders that are commonly initially diagnosed in young men and women, often in their late teens and early 20s. In other words, for the men, decades before they are diagnosed with prostate cancer. Both disorders are what are commonly referred to as “autoimmune” disorders, which means that the patients have some type of inherent flaw in their own immune systems and the disorders are inflammatory responses to one of those flaws. Since the late 1980s, it has been normal to treat moderate to severe ulcerative colitis and Crohn’s disease with so-called “biologic” agents like infliximab (Remicade) and adalimumab (Humira) and others. And so the association described above could be occurring not simply because the patients have IBD, but also because they may have been getting treatment with one of these biologic agents for 20+ years. 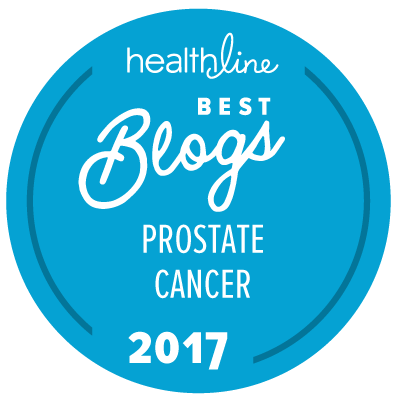 Men with any form of IBD may well fall into a high-risk category for prostate cancer who need to be more carefully monitored for those risks over time. It seems like a safe bet that the research community will be looking for other cohorts of data that can be used to validate this report out of Northwestern University over the next few years. In particular, it would be very interesting to know if there was any association between the risk for prostate cancer and the length of time that men had been on biologic therapy for IBD, or whether the association was simply associated with the time from initial diagnosis with IBD until time of diagnosis with prostate cancer — irrespective of type of treatment.